We Do All The Work.You Just Publish and Grow Your List. You create a website to share your knowledge and experience. You develop great content for it. Traffic trickles in but you expected a lot more. Where are all the people and why aren't they coming to the site? Don't be discouraged. You just entered a new stage of your business development. It’s time to direct and drive traffic to your site. However, you don't want just any traffic. 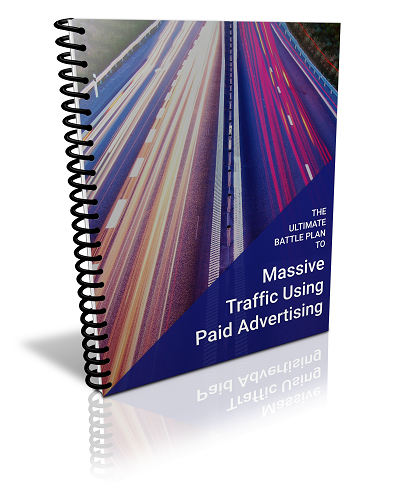 You want instant targeted traffic. Every online business needs traffic to their website to get subscribers and sales. Most online marketers start on a shoestring budget and feel they can’t afford to use paid advertising. Fortunately, there are now many more options than even just a couple of years ago. Even better, there isn’t a steep learning curve to be able to use them and get a good return on investment (ROI). Teach your readers the different options there are and review all the basics of paid advertising. 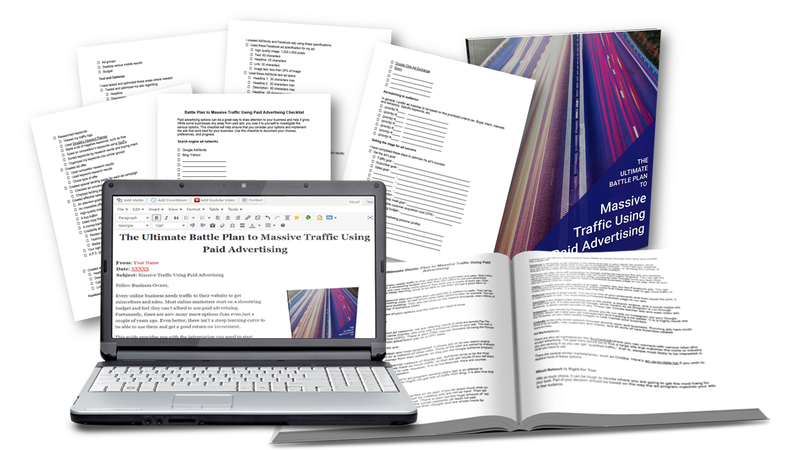 This PLR bundle will give your readers winning paid traffic strategies to help them reach their target market, get a positive ROI on their ads, reach their goals and more. 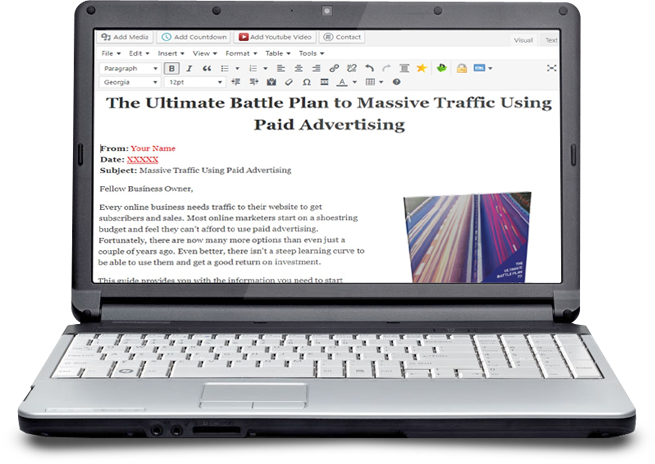 Give your readers the information they need to start generating massive traffic through paid advertising. This checklist will help ensure that you consider your options and implement the ads that work best for your business. 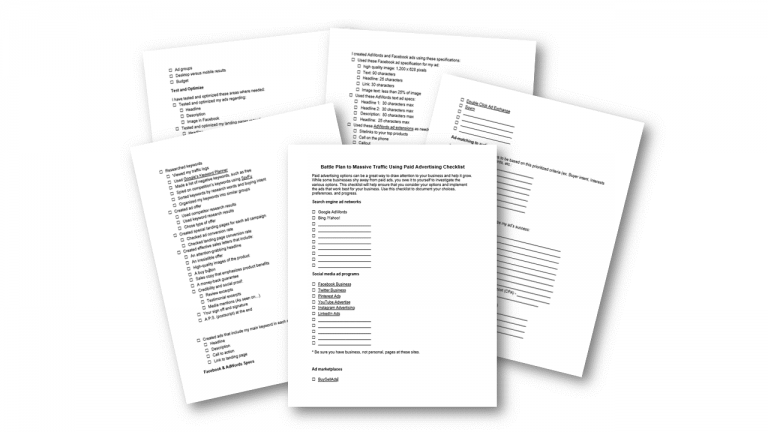 Use this checklist (5 pages/764 words) to document your choices, preferences, and progress. That's a total of 1 report, 1 checklist with 3750 words, promotional ecover graphics,and 1 lead generating opt-in page. It's ready-to-go or ready-to-edit and monetize content! It's a $27 PLR value, that you can get for FREE for a limited time only.